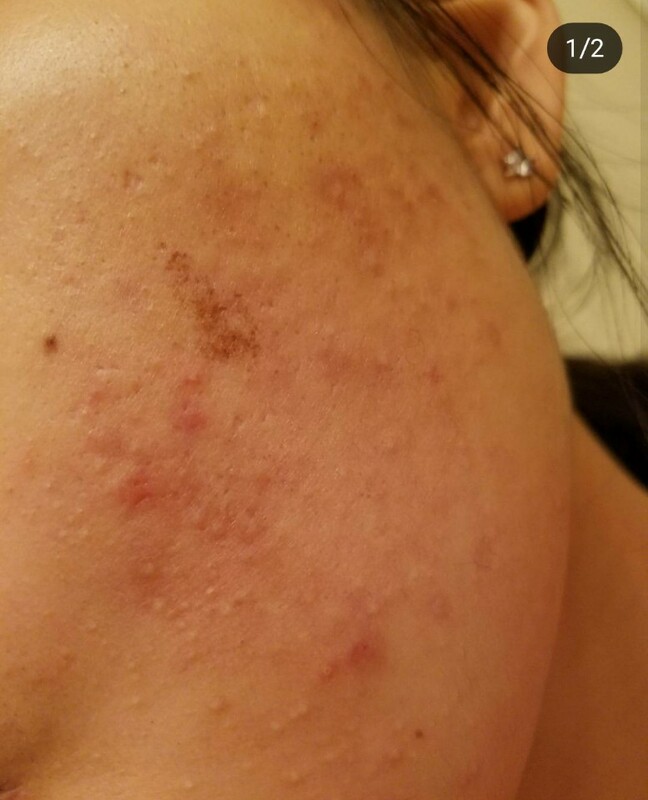 So My acne used to be super super Bad and i went on accutane and everything and it was alright for a while but then came back with a vengenance. So my acne right now is mild and I've been doing the caveman regime to some degree as well. However, I've ALWAYS had these skin colored bumps that make my skin feel disgusting, since there are so many of them. I am going to start using nizoral shampoo as a face wash, but I'm not hopeful.. since I've seen that most people who have success with Nizoral have the bumps on their forehead. I feel like its been making my skin worse.. Do any of you guys have any suggestions as to what I could do to get RID of them!?!? As you can see.. there are a LOT. My skin is exactly the same. I have been using a retinol product and alternating it with paulas choice bha gel nightly and i am just starting to see minimal results after a good 4 months. I have done 2 x 30% glycolic peels which seems to do more but its still a slow process. My skin does get irritated doing this so sometimes i have to lay off any product for a couple of days. It is so frustrating. The clinic i went to said it was clogged pores tet the Dr said she thought it was milia. Nobody seems to know how to get rid of them. As I am a picker i find it so hard not to mess with them which i am just about managing to do.